Looks like the last time floating islands were discussed on the forum was in autumn 2011. It seems it was thought to be expensive, but I see now online that that ain't so. A guy in Mexico, Richart Sowa, built a couple of islands just using discarded plastic bottles held together in sturdy netting, upon which he fastened plywood and bamboo and then piled sand on top and planted mangrove trees, which grew over 30 feet tall in 5 years or so. He also planted banana trees and other food plants and had some chickens and was self-sufficient food-wise. See image below. They survived hurricanes, but one got washed ashore in 2005 by a hurricane. Someone mentioned that there are unclaimed reefs in various places in the ocean. Floating mangrove islands could be floated to such reefs and perhaps anchored there permanently. That way anyone on the floating island would not be submerged in a hurricane or tidal wave. Seems like Louisiana should use a similar method to re-establish the land it's been losing to the sea down there. The latter seems to explain why mangrove trees don't grow along some coasts, i.e. 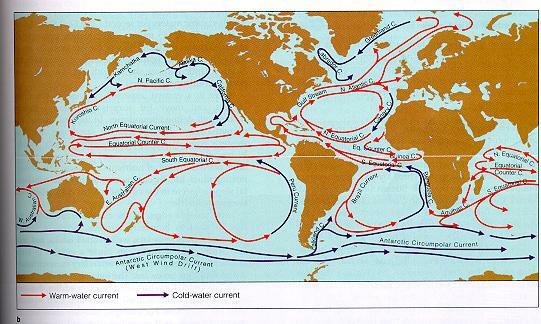 because Arctic and Antarctic currents have cold water, apparently too cold for them. So, if you find a nice unclaimed reef location, build your floating island near a mangrove coast where the current will later take your floating island to the reef. You'll probably need a motor boat to fine-tune your approach to the reef, like retrorockets on a spacecraft. You'll need to carry your anchoring with you. You could also use your floating island for luxury cruises to make some money if you don't want to anchor them permanently. That might require having some good strong sails that can catch wind to move the island against a weak current. You'd probably have to haul your cruise passengers to your island via seaplane, helicopter or boat. This is like seasteading I imagine. I'm interested in Project Blueseed and seasteading in general. Maybe something similar can get started soon. Fingers crossed. Looks like the last time floating islands were discussed on the forum was in autumn 2011. It seems it was thought to be expensive, but I see now online that that ain't so. A guy in Mexico, Richart Sowa, built a couple of islands just using discarded plastic bottles held together in sturdy netting, upon which he fastened plywood and bamboo and then piled sand on top and planted mangrove trees, which grew over 30 feet tall in 5 years or so. He also planted banana trees and other food plants and had some chickens and was self-sufficient food-wise. Someone mentioned that there are unclaimed reefs in various places in the ocean. Floating mangrove islands could be floated to such reefs and perhaps anchored there permanently. That way anyone on the floating island would not be submerged in a hurricane or tidal wave. Artificial islands used as floating gardens are nothing new. The Aztecs and their neighbors used them extensively, and they are still used in some former Aztec areas near Mexico City. But there are no unclaimed reefs, or any other land masses or shallow water areas on the planet, and there haven't been any for a long time. People have tried this idea before and always been muscled out by whatever government claims the area. And then, there was Project Blueseed. I like the idea of getting away from it all and being by myself / just my wife (kids in the future) and whatnot... but I don't think that's the best way to further liberty. I think the best way to further the cause of liberty is exactly what the FSP is doing. Glad to be a part of such an amazing movement. I think the best way to further the cause of liberty is exactly what the FSP is doing. Glad to be a part of such an amazing movement. I've heard of people doing that before. I seem to remember a story about 15 years ago where a couple in California made their own floating island with empty soda bottles or some such waste product. Seems dangerous to me, one storm could wipe you out. You can do this anywhere. You are subjects to local and federal laws, though so yes, you can do this in NH. I think the whole floating island idea is interesting. It's just another way people are demonstrating their disgust for the systems as they are. But I have a hard time thinking it's going to work. One of the great advantages to freedom is freedom of association, and once you stuff X amount of people on a floating island, they need to either continue participating in the existing systems to associate with those back home, or limit their association to those who jump on the floating island (that's assuming no government interference from existing states). We cannot rid ourselves of the state if we need it to defend us.